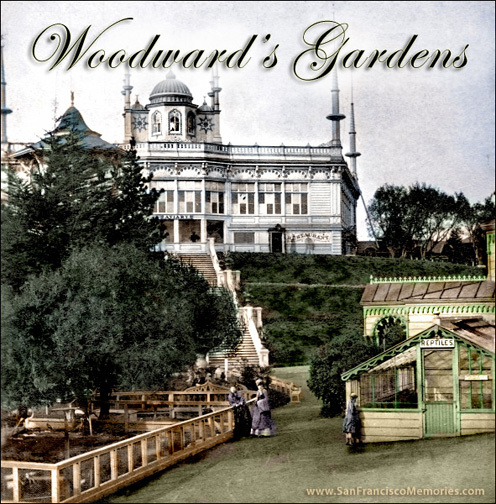 Woodwards Gardens was an attraction from San Franciscos past that has been mostly forgotten. It was a combination of zoo, museum and amusement park in a beautiful garden setting. During its years of operation (1866-1891), thousands of people came to the gardens to enjoy the surroundings and learn more about their world.